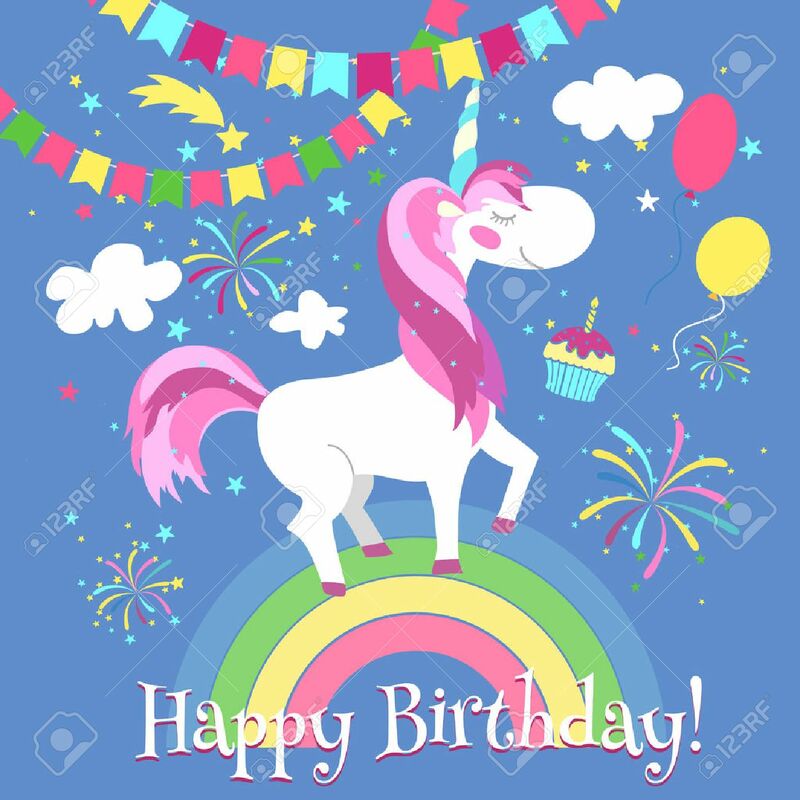 Happy Birthday Card With Cute Unicorn. Vector Template. Unicorn.. Royalty Free Cliparts, Vectors, And Stock Illustration. Image 55462586.